The 2015/16 Bundesliga season is now at the halfway stage, providing the ideal time to take stock of each club's progress so far. Here, bundesliga.com puts Hannover 96 under the microscope. Hannover are going to have to show a great deal more resilience and consistency if they are to avoid a repeat of last season's dice with relegation. The Reds beat SC Freiburg on the final day of the 2014/15 campaign to maintain their top-flight status, but have generated little upward momentum since. Without their talismanic former captain Lars Stindl - now at Borussia Mönchengladbach - the side side have spent most of the Hinrunde either in or just above the bottom three, having won only four times so far this term. 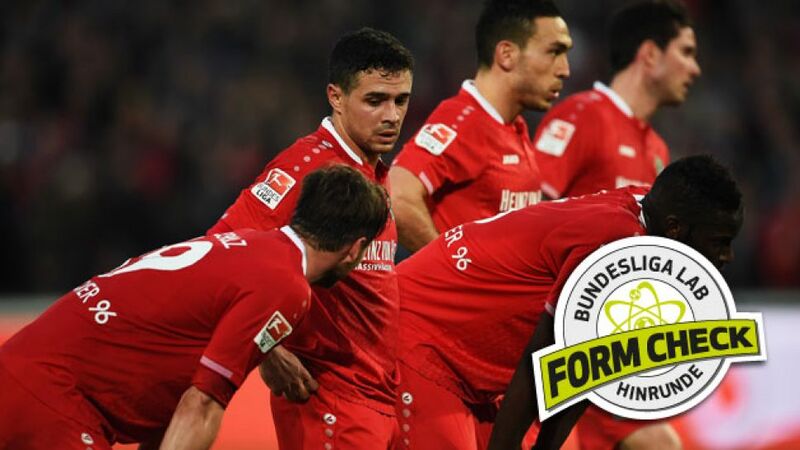 They are currently 17th, but will hope for fresh impetus from the appointment of Thomas Schaaf as coach during the winter break with the former SV Werder Bremen and Eintracht Frankurt boss taking charge for the Rückrunde after Michael Frontzeck stepped down following the Matchday 17 loss to FC Bayern München. No other side have been as efficient in converting their clear-cut chances as Hannover (72 per cent). Hannover score a goal with every 18th corner on average, the best success rate in the division. See how Hannover have fared week-by-week with our stat-tastic . Sit back and savour the moment Kiyotake inspired his side to victory against northern rivals Hamburger SV on Matchday 11.